In the course of research, I kept coming across the term 'ayurvedic herbs'. It's the most fascinating topic for someone who's interested in herbs - an ancient (over 5000 years old) holistic ayurvedic medicine. The main philosophy of Ayurvedic followers is as a preventative, but there are claims that the uses are really wide ranging - treating diabetes, high cholesterol levels, erectile dysfunction to name but a few. 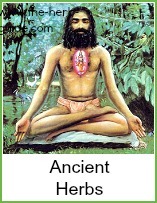 Yoga and meditation is a major part of the philosophy. People are one of three Doshas - Kapha, Pitta, Vata and depending on their type, determines what herbal remedies and lifestyle changes they would be recommended to follow. I haven't personally used this method - I'm fortunate in that I enjoy good health - but I'm a great believer in the power of herbs as a medicine and preventative - which is perhaps why I have such good health :-) I've followed the ancient European herbal science. 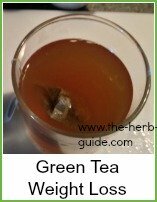 I've sourced some excellent material about ayurvedic medicine - I want The Herb Guide to be the best directory of all things herbal on the internet - the most complete source of information that you could possibly want. Just because I have no personal experience, doesn't mean to say it's not of interest to you or me. 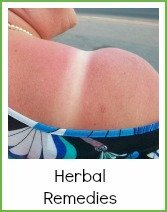 I am in now way endorsing the use of these herbs - I am not medically qualified, just very interested in all things herbal. I prefer to give nature a chance to heal before running off to the doctors to be treated with chemicals. This book which is available as an immediate download via Kindle (you don't need a Kindle, you can download the app) or as a physical book is the most comprehensive book I've found. It starts at the beginning, explaining the philosophy and takes you through full explanations. It is very highly recommended amongst reviewers - they're a tough lot on Amazon! If you click on the cover photo below, you'll be able to see the amazing 5 star reviews.